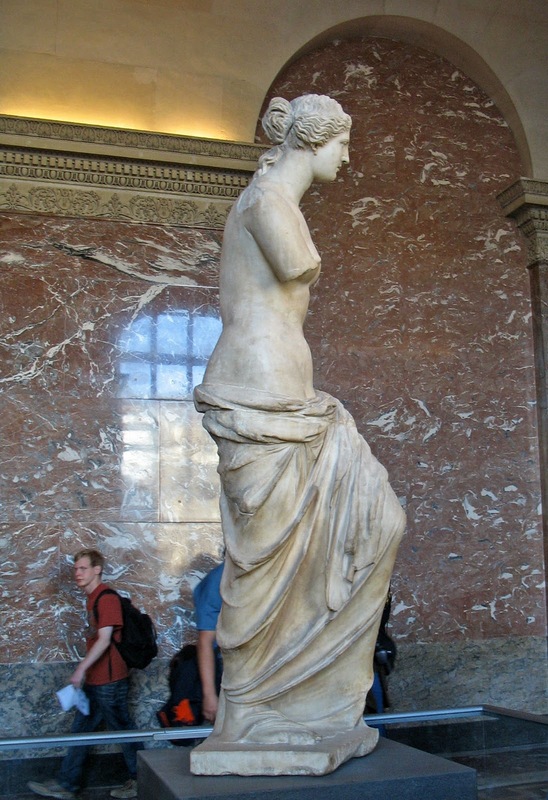 These photographs are of the ancient Greek statue of Aphrodite (the Romans knew her as Venus). She is the Greek goddess of love and beauty. 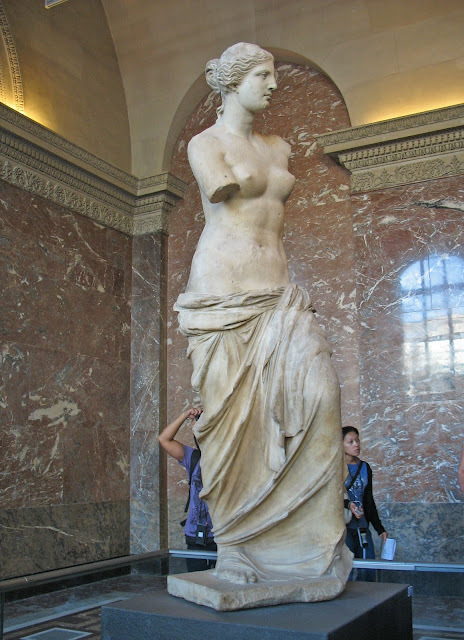 It is a large marble statue which is now seen at the Louvre Museum in Paris. 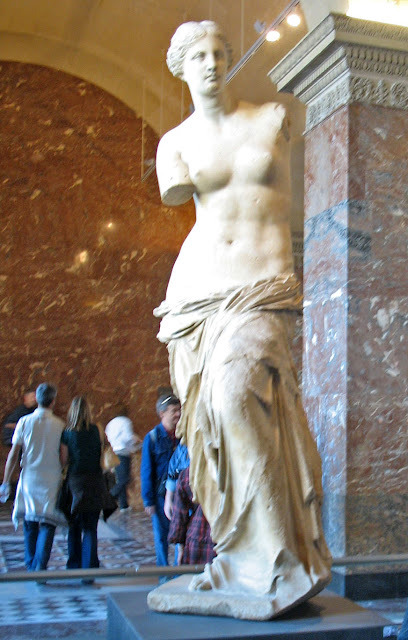 It was discovered by a Frenchman in the ruins of an ancient city (Milos) in Greece and transported to France. The first picture is the side view. The second image is shot from the front, but not directly. Like most ancient statues this statue too was once painted and adorned. Venus or Aphrodite had jewellery too but over the ages the paint has been worn off and the jewellery lost. 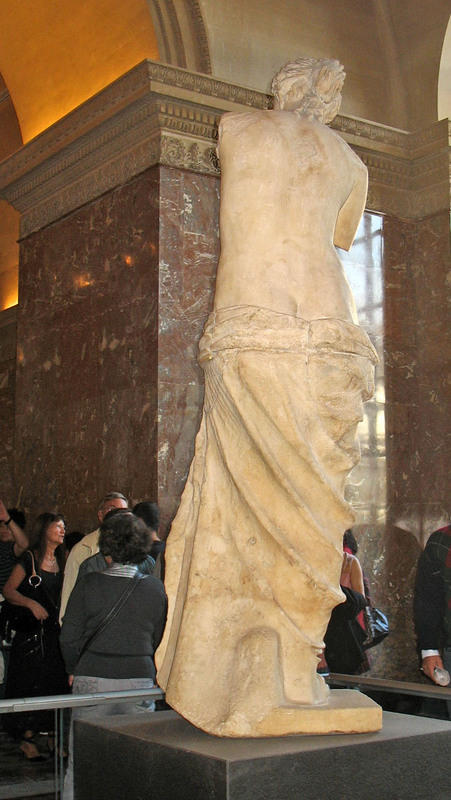 The third image is taken directly from the front of the sculpture. This work of art is believed to have been sculpted between 130 and 100 BC, and thought to be made by Alexandros of Antioch.